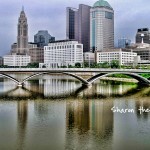 It was a wonderful spring week in Central Ohio. 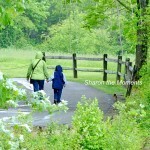 With the nicer weather, I have been able to walk more often in the afternoons. 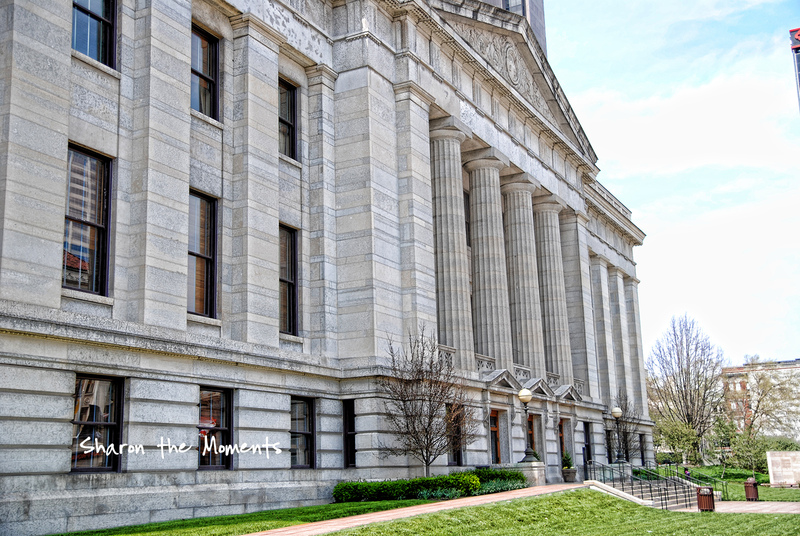 On this day, I decided to walk around the Statehouse lawn. 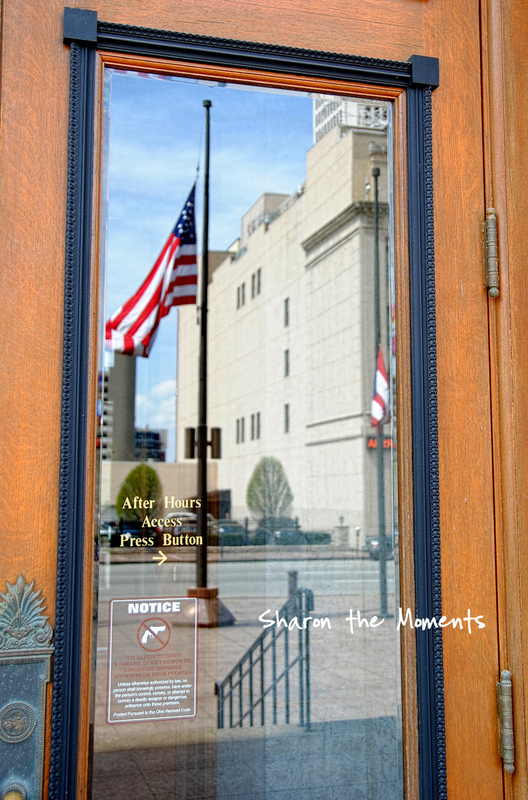 As I was walking around the building, I noticed the reflection of the flag. I love it! Then took a picture. 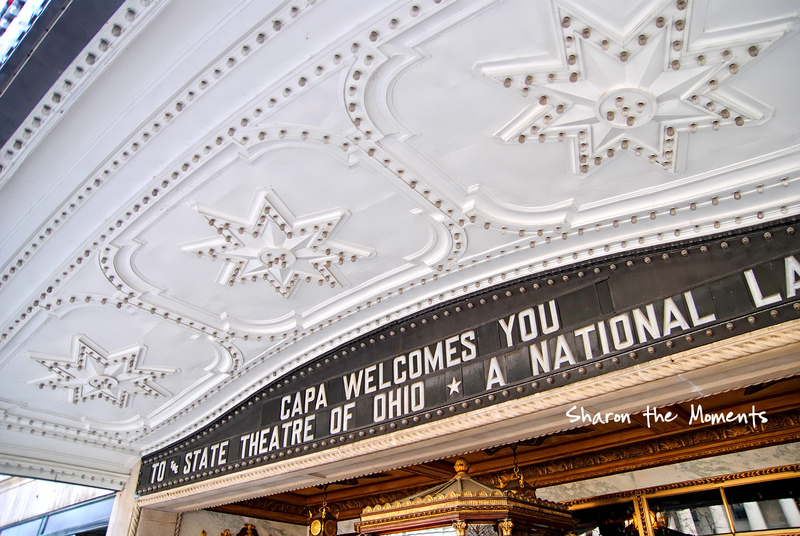 During my walk back to the office, I always enjoy passing the Ohio Theatre, the details and the history. It is awe-inspiring. Monday Monday Spring …. Bring it on!